Marie Connolly & Alan B. Krueger open the October 2018 issue of the International Journal of Music Business Research (IJMBR) with “The secondary market for concert tickets: theory and evidence”. They model the secondary ticketing market by considering that “performers do not want to be perceived as gouging fans, they choose to underprice tickets and provide consumer surplus to customers” (p. 6). The second article by Sarita M. Stewart “The development of the artist-fan engagement model” develops a model to explain the relationship between musicians and their fans. It is based on hedonic consumption and parasocial interaction theory and explores how the effects of music and artist drive fan engagement through access or ownership of recorded music. The third and concluding article of this issue is “Blockchain for Music Business: Preventing the Threat of Disruption” by Wolfgang Senges. This article considers the blockchain as a disruptive power for the music industry that needs a useful framework to prevent damage. Therefore, he recommends a “collaborative approach, agile methods, and transition management … as a toolset to allow for successfully shaping the impact of disrupted processes” (p. 83). In its last annual report Warner Music Group (WMG) exhibited a total revenue of US $3.58bn – the highest since the recorded music company was sold by Time-Warner to the Investor Group in 2003. Although overall costs also increased to US $3.15bn (WMG 2017: 38-39), the operating income is remarkably high with US $222m (WMG 2017: 40) especially compared to the disastrous results of the early 2000 years with annual losses of about 1 billion US$. The main driver of the revenue growth is the music streaming boom. In the recorded music segment streaming revenue increased by US $434m to US 1.34bn in the fiscal year ending on September 30, 2017. The music publishing segment contributed a further increase of US $58m of streaming revenue (WMG 2017: 36). Thus, WMG earned almost US $500m more with music streaming in 2017 compared to 2016. The further analysis highlights how the music major’s business model has shifted to the music streaming economy. My new book “The Economics of Music” is now avaiable in the bookstores. 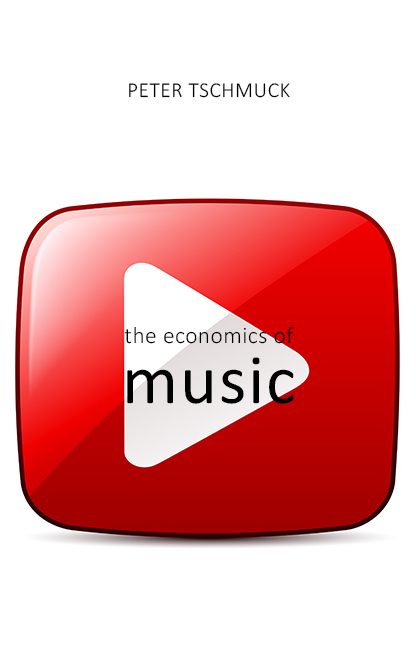 “The Economics of the Music” is a concise, scientifically grounded textbook on the economic fundamentals of the music industry in particular and the music economy in general. It aims to highlight the economic principles that govern the music business by analysing music as an economic good that is protected by copyright law. The book therefore includes a chapter on the microeconomics of music as well as a chapter on the economics of music copyright that is mainly based on findings of institutional economics. The main parts of the book focus on the different sectors of the music industry – music publishing, sound recording, the live music market, and secondary markets such as media and advertising – in order to explain the network of actors in those sectors and how these markets are organised and linked. The music labour markets are treated in a separate chapter. It highlights different income streams for musicians, occupational careers in the music business, and music-related occupations in the wider music economy (education, advocacy, lobbying, etc.). Since digitization has a tremendous impact on the music business, a final chapter on the “Digital Music Business” highlights the new rules, structures, and processes that were established by the digital revolution in order to foreground the structural break the music economy underwent. The last chapter, therefore, refers back to the opening chapter on “A Short Economic History of the Music Business,” which provides an overview from music patronage to the current digital music economy. Peter Tschmuck, 2017, The Economics of Music. Newcastle-upon-Tyne: Agenda Publishing. The Recording Industry Association of America (RIAA) recently published the sales figures (shipment figures) for the recorded music market in the US for 2013. Accordingly, digital sales increased by 7.6 percent to US$ 4.36bn from 2012 to 2013. Nevertheless, overall sales (digital and physical) slightly decreased by 0.3 percent from US$ 7.016bn to US$ 6.996bn in 2013. Thus, the sales decline of 12.3 percent (US$ -325m) in the physical product (CD, vinyl, DVD, SACD) could not be compensated by the growth of the digital music market. All in all, digital music sales accounted for 64 percent of the overall recorded music sales in 2013. The strong increase of digital music sales is fueled by the booming music streaming and subscription segment, which grew 39 percent in 2013, generating US$1.4bn in revenue. However, single track download sales shrank by 3.3 percent (US$ -54.6m) in the same period. Digital album sales have slightly increased by 2.4 percent or US$ 28.7m from 2012 to 2013. These figures seem to indicate a cannibalizing effect of music streaming on download sales, even if we consider recent price cuts by digital music distributors. The following analysis does not only highlight the digitization process of the recorded music market in the US in past thirteen years, but also the tremendous change of the digital music market segment.